Layton Kor has passed away. His contributions to our sport defined a few generations' challenges. I had the pleasure to meet him and he surprised me by telling me his most wonderful times weren't in the mountains or cliffs but on the beach in the Philipines. This is a sad loss for the climbing community. Layton Kor was already the stuff of legend when I began climbing in the late 70s, and defined the spirit of adventure that I still aspire to. His routes speak for themselves; I have climbed dozens of them, probably hucked off a few, and always admired his skill and vision. My condolences to all of his family and 1000's of friends. There isn't a single Layton Kor climb that I've done that didn't make me stop and think about both him and the climb on the way up, and that's not because I knew it was put up by him, but more by the nature of the climb itself. The man had a damn good run. Here's hoping he's still climbing wherever he may be. 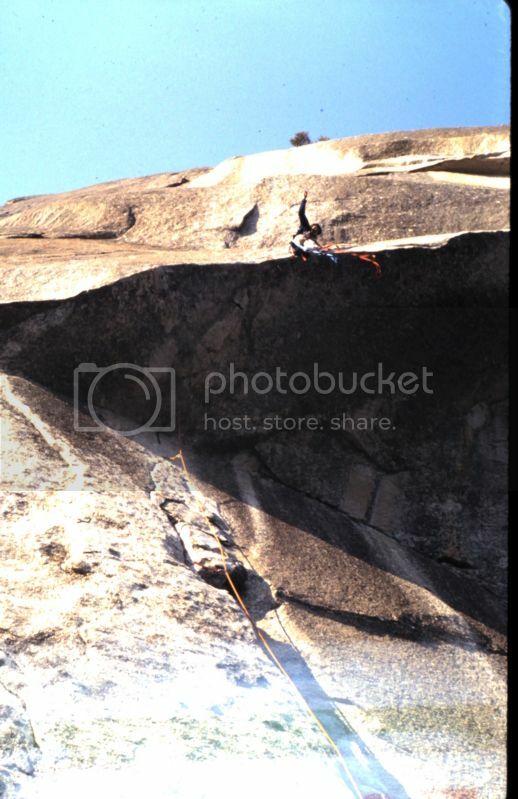 Layton Kor is one of the truly inspirational climbers who paved the way for the rest of us. Thanks for your contributions to the past, present and future of climbing. RIP. A salute to the Master from atop the Kor Roof on the South Face of Washington Column. I have no idea how the man drilled those bolts so far apart on lead; I'm 6' with a +4" ape index, and I still needed a cheater stick to clip them!